Comments: I first purchased a 1984 Topps PSA 10 in July, 2007. 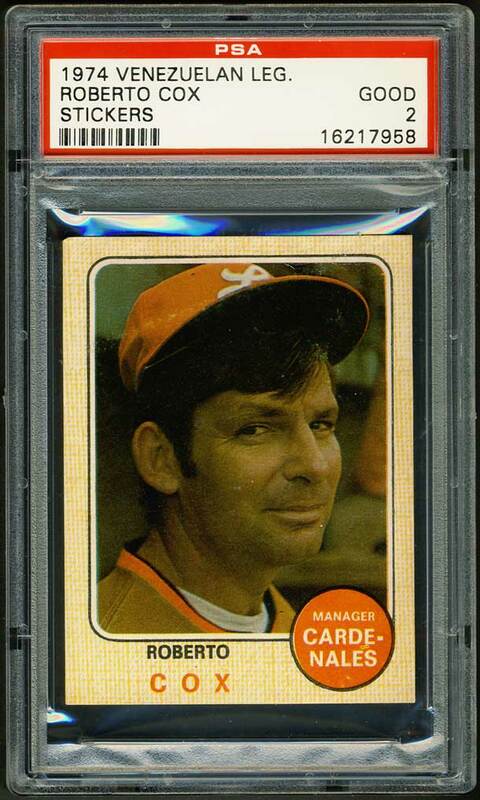 On November 10,2009 I was searching eBay and discovered the 1974 Venezuelan Stickers including the Cox. 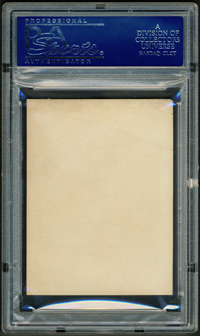 I won the auction, submitted the card to PSA and was rewarded with this PSA 2 example. 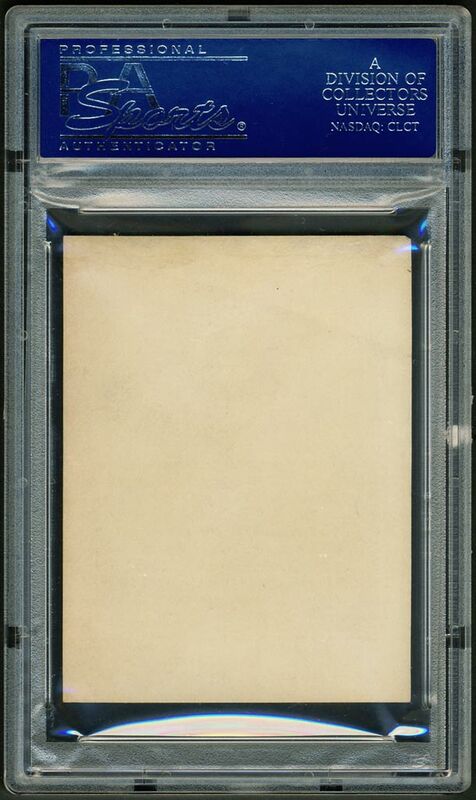 It appears EX on the front but there's some paper damage near the top on the reverse. I've won one more raw copy since but it wasn't worthy of a higher grade and has since been sold. I'd like to upgrade this one - tough card. Description: The 1974-75 winter league set of Venezuelan League stickers is a dead ringer for the 1968 Topps baseball cards. About 2-3/8" X 3-3/16", the stickers have photos framed in orange-mottled borders. Printed on paper and distributed by Digallo C.A. only in Venezuelan markets. The team name and position are in a circle at bottom, along with the player name in two colors. Because they were intended to be mounted in an accompanying album, the backs are blank. Because so many of the stickers were once pasted into albums, and due to unfavorable climatic conditions, high-grade examples of Venezuelan stickers from the era are particularly scarce.